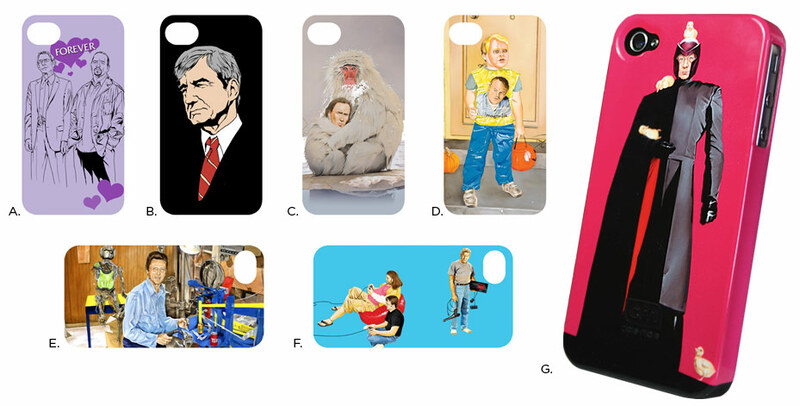 I'm happy to announce that, in exchange for a rather modest portion of your worldly fortune, you may now obtain protective covers that will permit you to carry the delightful artwork of Brandon Bird on your iphone, in your pocket, near your heart. Couch to 5K: the iPhone App from lonelysandwich on Vimeo. There are a few types of regular listeners from whom I hear. These are people for whom audio content is an important and regular part of their day. There are public transportation commuters. There are animators, artists and graphic designers. Then, there are runners. Lucius Kwok is a longtime supporter of MaxFun, and a good friend of You Look Nice Today's Adam Lisagor. Together they made this video for Lucius' very cool-sounding app, which combines personal guidelines for couch-to-5K training with your iTunes library. My hope is that this will train a new generation of MaxFun listener-runners.